When Sid Evans sits down behind his desk in his office these days, he’s editing for two – two magazines, that is. 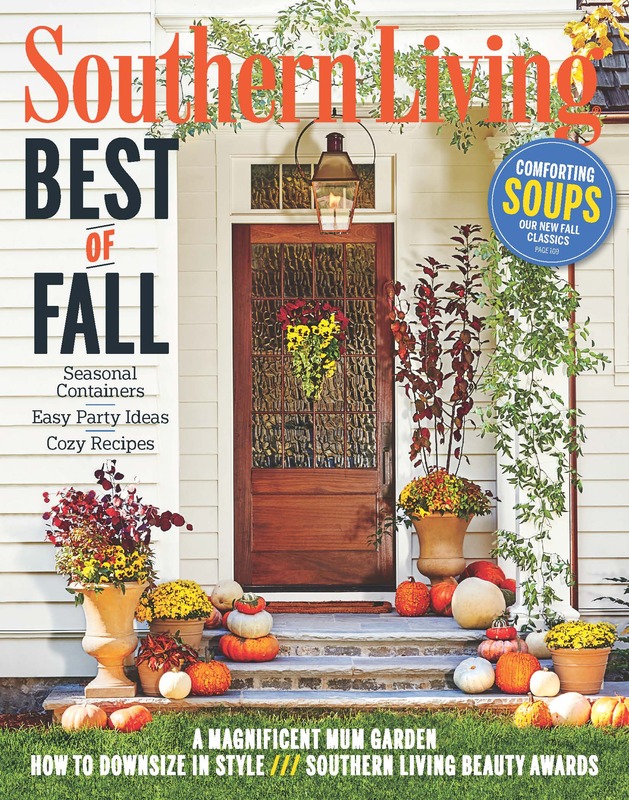 Southern Living, where he has been mixing the mint juleps for over three years now, and Coastal Living, where he has just begun to navigate the editorial seas. But if anybody can handle the differences of these two great brands, it’s Sid. Coming from a stellar legacy of editor in chief’s positions: Field & Stream and Garden & Gun, Sid is more than ready for the opportunities this new challenge presents. And he knows that as long as he continues to do what he’s always believed in doing, putting the reader first, the results will be satisfaction to established readers and a refreshing “welcome” to the new audiences coming to both magazines. I spoke with Sid recently and we talked about the differences in both brands and the editorial role he will play as editor in chief of Southern Living, a magazine that has been around for over 50 years and is a generational staple, and Coastal Living, a publication that caters to everything seaside-inspired, from décor to food and travel. It might sound like the two titles will make for a suddenly incongruous professional life, but Sid is passionately positive that both magazines and everything that goes with their individual brands will continue to prosper, adding only a deep and rewarding satisfaction to his own accomplished journey. So, grab a glass of sweet tea (or that mint julep, if you prefer) and a nice maritime mentality, and come along with Mr. Magazine™ as we explore the worlds of deep Southern culture and the saltiness of the sea with the man who has his feet firmly planted in both – the Mr. Magazine™ interview with Sid Evans, editor in chief, Southern Living and Coastal Living magazines. 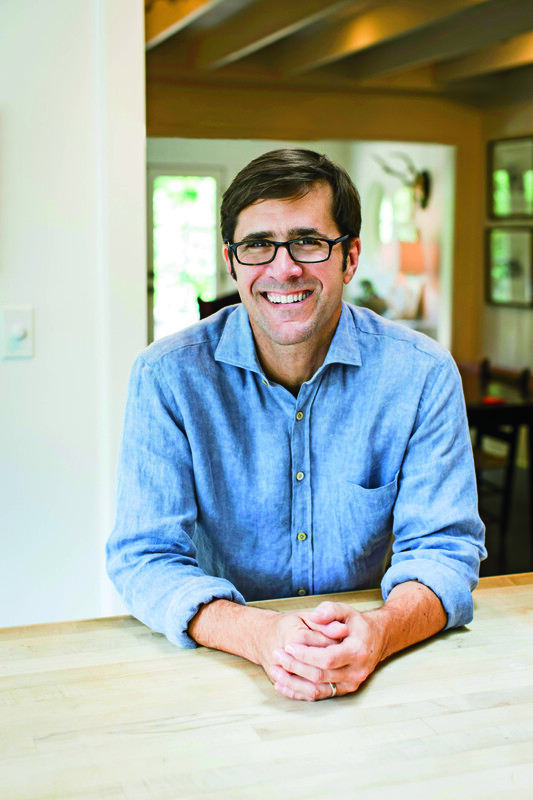 On being in charge of two magazines now, and how he balances between a legacy brand like Southern Living and a newer publication such as Coastal Living: I think these days this business is all about juggling. There are so many different things that you have to keep in the air at the same time. So, I guess adding another magazine to some extent is just one more thing. On how he preserves the DNA of Southern Living, yet keeps up with the rapid changes in magazine media today: I don’t think the DNA of the magazine has changed and I don’t think the mission of the magazine has changed, which is really to help people enjoy life in the South to the fullest, and take advantage of all the wonderful things the South has to offer. But what is changing is the South. And we have changed with it, and that’s why the magazine has stayed dynamic, interesting, and relevant to its readers. On how he is maintaining the youthful spirit of the magazine considering its age: The velocity of what we’re doing has changed. We are now doing about 25 to 30 pieces of original content a day in digital. So, that is radically different from what we were doing even two years ago. And that has enabled us to expand the amount of content that we’re doing; the kinds of content that we’re creating, the stories that we’re telling; and to reach new audiences. And I think that’s really key. And then leveraging all of that content across social media as well. But with regard to the print magazine, I think that has evolved too. 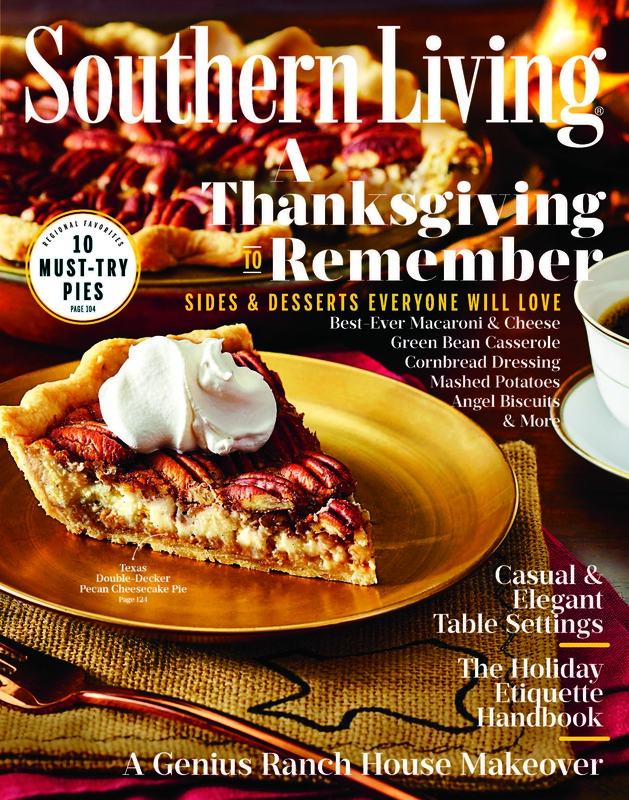 Southern Living is a very generational magazine; it’s a brand that gets passed down from one generation to the next. And we reach all of them through print. On how he makes the decision on what content is for which platform: That’s a great question. When we’re looking at digital stories, we’re thinking about things that are shareable, and they tend to be very focused. They tend to be shorter, and it’s perhaps less dependent on photography, but you also have no boundaries. You don’t have the boundaries of a page the way you do in print. With a print story, it has to be something that’s going to relate to people through photography, design, and that’s going to have a lasting impact. On whether it makes a difference to writers these days about whether their work appears in print or in digital: I don’t think so; as long as they’re getting paid, I don’t think it matters. (Laughs) Every writer that I know wants to reach as broad an audience as possible. 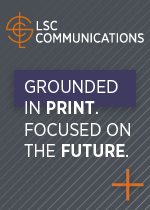 And we don’t have a huge overlap between our print and digital audiences. So, anything that we run in print and then also run on digital, you’re reaching a lot of new people. On Southern Living’s reach now with digital: We like to say that we are house to house and door to door in the South. I don’t think there’s any other brand or entity that has the penetration and the saturation that Southern Living does. And I think that’s become even more true as we’ve grown our digital audience. When I got here we had about 600,000 unique visitors to our site. And as of last month, we’re at almost 7 million in comScore. So, we’ve grown dramatically and I think we have a lot more growth ahead of us. On whether reaching that large an audience with the magazine’s message terrifies him: I think it demonstrates that the content we’re creating is relevant to a really large audience. That was true 50 years ago and it’s just as true today. Another thing that’s been interesting to see over the last couple of years is how relevant our content is outside of the South. We have huge audiences in New York and California and of course, all throughout the Midwest, and places where you wouldn’t expect Southern Living to resonate. On changing his thinking caps between Southern Living and Coastal Living: (Laughs) You have short meetings; you make quick decisions; you plan obsessively; and you stay true to your audience. And you have to be kind of ruthless and decisive about what makes sense for your audience and what doesn’t. Then make a decision and move on. On how the role and responsibilities of being editor in chief have changed over the years for him: (Laughs) I think I feel more like an entrepreneur than ever before. When I got to Field & Stream, I was managing an historic brand and I was trying to reinvent that brand, but I wasn’t necessarily trying to start whole new businesses. Being an editor today; I feel like you’re constantly looking for new ways to reach audiences, find new revenue streams, new marketing partnerships, and increasingly, find new ways to communicate. And there’s just so much learning to be done every, single day, because everything is changing so fast. On how he keeps his editorial integrity: Always be true to your reader and always be transparent. I think transparency is paramount. And anytime that you’re creating content that is tied to some kind of partner or advertiser, I think people understand that, as long as you are clear and transparent about what you’re doing. I think that’s absolutely critical. On anything he’d like to add: Coastal Living is a very different brand from Southern Living. For one thing, it has a very high household income; it’s among the highest in the company and in the industry. So, you have this incredibly valuable audience and they’re used to living the good life. 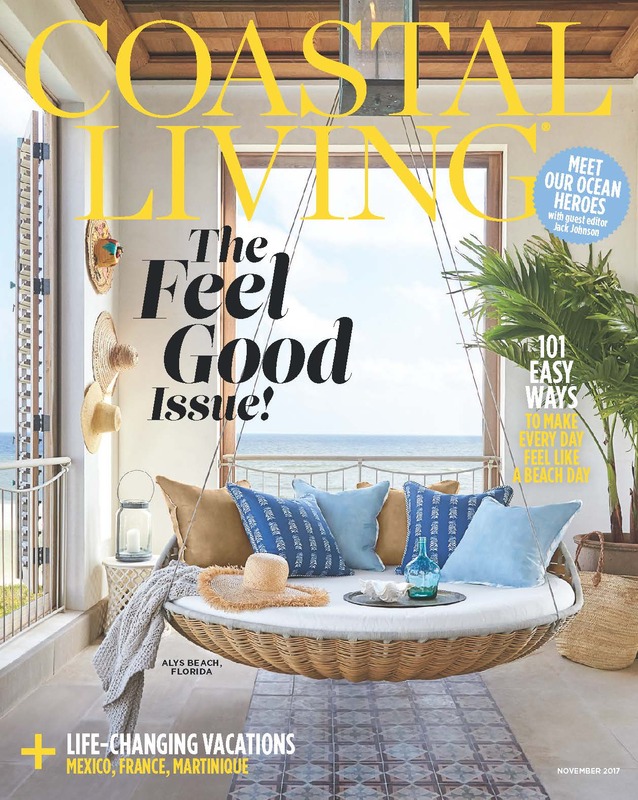 They come to the magazine for escape; they come to it for something that’s going to make them feel good; it’s a place to relax, and the mindset that they have when they pick up a copy of Coastal Living, I think is so valuable. It’s where you want to be. I picture them laying in a hammock or sitting in a chair on a front porch or sitting on a beach. So, they’re in a very happy place when they pick up a copy of Coastal. On whether there will be more of his handprint throughout the pages of Coastal Living now that he’s editor in chief: (Laughs) I hope so. On what he would have tattooed upon his brain that would be there forever and no one could ever forget about him: That he always put his readers first. That’s what I tell my staff all of the time; think about your reader, and when you have a million things coming at you; when you’re wrestling with a story or when you’re confused about what to do next, just think about your reader and put yourself in their shoes and look at it from their perspective. And as long as you do that, you’re going to make the right decision. On who each of the magazines would be if he could strike them both with a magic wand and they could instantly transform into a human being: (Laughs) Well, it would definitely be two different people. The Southern Living reader is not a celebrity; it’s someone who is living in a small town in the South and just moved into her dream home. And she’s sitting on the porch with a copy of our magazine and she couldn’t be happier. And for Coastal Living, I think it’s probably the same thing, but she’s on a beach. On what someone would find him doing if they showed up unexpectedly one evening at his home: I may have told you this before; I’m probably playing my guitar badly, but hopefully I’ve gotten a little better at it since the last time I talked to you. And hanging out with the family; there’s no place that I’d rather be. On what keeps him up at night: I don’t sleep much anymore, so I’m up a lot. But it concerns me that we’re creating so much content for other people’s platforms. And as an editor, I am something of a control freak. I like to control my content; I like to control how it’s presented; I like to control how it’s designed, and I like to control the vehicle that gets it from me to the reader. And of course, that is more and more of a luxury. And now the lightly edited transcript of the Mr. Magazine™ interview with Sid Evans, editor in chief of both Southern Living and Coastal Living magazines. Samir Husni: Sid, you’re in charge of two magazines now instead of one, Southern Living and Coastal Living. Tell me, you’re not even 50-years-old yet, and you’re editing a magazine that’s older than you and one that’s much younger than you. How do you juggle between a publication that was started before you were born, and one that came along when you were in your 20s? Sid Evans: I think these days this business is all about juggling. There are so many different things that you have to keep in the air at the same time. So, I guess adding another magazine to some extent is just one more thing. And they’re very distinct brands, and they both have very distinct identities. As long as I keep that in mind and stay true to the brands, I think it’ll be fun. I just have to find a few more hours in the day. Sid Evans: (Laughs too). If it has, no one has told me. Samir Husni: Let’s talk a little bit about Southern Living. The magazine is over 50 years old. Sid Evans: We’re 51 this year. Samir Husni: As an editor, how do you preserve the identity or the DNA of Southern Living and yet, keep up with all of the changes taking place in magazine media today, whether that’s digital disruption or just the rapid pace of change that’s sweeping the industry? Sid Evans: I don’t think the DNA of the magazine has changed and I don’t think the mission of the magazine has changed, which is really to help people enjoy life in the South to the fullest, and take advantage of all the wonderful things the South has to offer. But what is changing is the South. And we have changed with it, and that’s why the magazine has stayed dynamic, interesting, and relevant to its readers. There is constant change and evolution in the South, whether you’re looking at food, homes, travel, or what’s going on in the cities and small towns of the South. So, we stay relevant by trying to keep up with all of that, and capture it for our readers. Samir Husni: As you’re capturing this change for the readers; you’re not only reflecting, you’re also initiating some things for the South. How do you think you’re mending the fences between established, legacy readers who have been with the magazine since it was born, and the new readers who are coming to the magazine? How are you keeping the youthful spirit of the magazine considering its age? Sid Evans: The velocity of what we’re doing has changed. We are now doing about 25 to 30 pieces of original content a day in digital. So, that is radically different from what we were doing even two years ago. And that has enabled us to expand the amount of content that we’re doing; the kinds of content that we’re creating, the stories that we’re telling; and to reach new audiences. And I think that’s really key. And then leveraging all of that content across social media as well. But with regard to the print magazine, I think that has evolved too. Southern Living is a very generational magazine; it’s a brand that gets passed down from one generation to the next. And we reach all of them through print. We reach Boomers, Gen Xers, and we reach Millennials, so it’s all different generations. And we really speak to them all at the same time. And we focus on the things that they have in common; the things that bring those generations together, food being a key one. People pass recipes down from one generation to the next, just as much now as they were 50 years ago. They’re doing it in different ways, but food is still that connective tissue between the generations. And I think the way that we live in our homes and the way that we decorate our homes, that’s also connective tissue. And of course, southern culture. So we tend to focus on the things, in print especially, that unify people and bring all of those audiences together. Samir Husni: Is there a light bulb that goes off in your mind when you’re deciding what content is for print and what is for digital? Creatively, how do you make the decision on which stories are for which platform? Sid Evans: That’s a great question. When we’re looking at digital stories, we’re thinking about things that are shareable, and they tend to be very focused. They tend to be shorter, and it’s perhaps less dependent on photography, but you also have no boundaries. You don’t have the boundaries of a page the way you do in print. With a print story, it has to be something that’s going to relate to people through photography, design, and that’s going to have a lasting impact. We’re doing over 600 videos a year now, and we’re always looking for stories that will translate well in video. Obviously these take time and resources to produce, so we’re always trying to determine which stories will have the most impact in that medium. 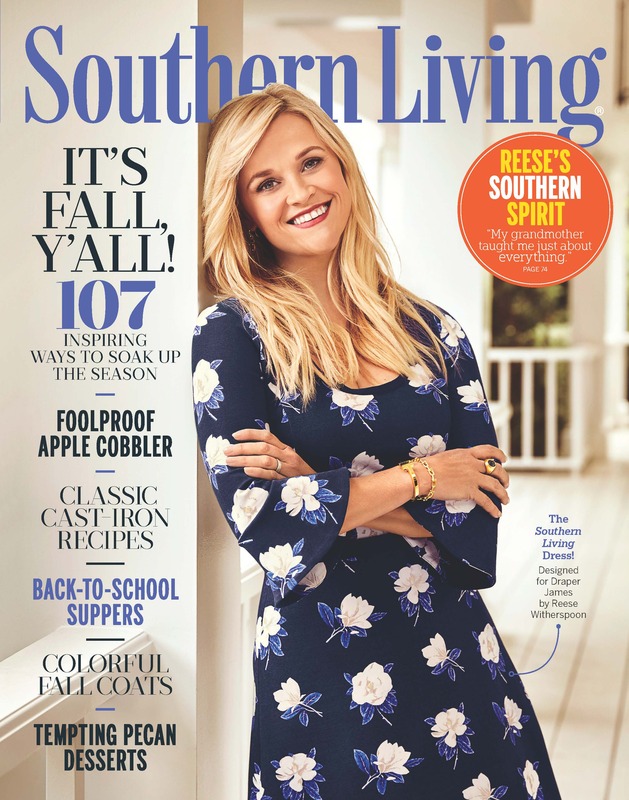 Southern Living is generating millions of views both on site and on social by telling stories that resonate with audiences on an emotional level. Samir Husni: Have you ever had a writer tell you that they wanted their story in print, that they really didn’t care about digital, or does it make a difference to writers nowadays where their stories appear? Sid Evans: Every writer that I know wants to reach as broad an audience as possible. And we don’t have a huge overlap between our print and digital audiences. 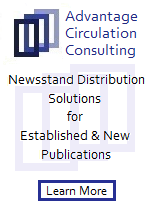 So, anything that we run in print and then also run on digital, you’re reaching a lot of new people. And then every time they share it, you’re reaching more new people. Samir Husni: I was told sometime back, in fact pre-digital, if we can imagine such a time, that Southern Living, the print magazine, reached one out of every five households in the Southern United States. What’s the reach now with digital? Do you saturate the South now? Sid Evans: We like to say that we are house to house and door to door in the South. I don’t think there’s any other brand or entity that has the penetration and the saturation that Southern Living does. And I think that’s become even more true as we’ve grown our digital audience. When I got here we had about 600,000 unique visitors to our site. And as of last month, we’re at almost 7 million in comScore. So, we’ve grown dramatically and I think we have a lot more growth ahead of us. Samir Husni: Does that terrify you, seeing that you have this massive reach? Does that keep you at night, being in charge of the message that you’re delivering to all of these people? Sid Evans: I think it demonstrates that the content we’re creating is relevant to a really large audience. That was true 50 years ago and it’s just as true today. Another thing that’s been interesting to see over the last couple of years is how relevant our content is outside of the South. We have huge audiences in New York and California and of course, all throughout the Midwest, and places where you wouldn’t expect Southern Living to resonate. But I think as the South has grown, as Southern culture has become more omnipresent and more relevant to people’s lives outside the South, so has Southern Living. Samir Husni: With the added responsibilities that you now have, needless to say, there haven’t been these huge increases in staff lately, so how do you change your thinking cap from Southern Living to Coastal Living? How do you divide your day? Sid Evans: (Laughs) You have short meetings; you make quick decisions; you plan obsessively; and you stay true to your audience. And you have to be kind of ruthless and decisive about what makes sense for your audience and what doesn’t. Then make a decision and move on. And the planning is really important, more so than ever, because we have a very lean team, and we have limited hours in the day. But when we’re well-planned, we can move quickly. We know how to execute a good story; we know how to pull off a good photo shoot; and we know how to report, whether it’s on the South or on the Coast. But having a detailed editorial plan is more critical than ever. Samir Husni: You’ve been editor in chief before, of Field & Stream, of Garden & Gun, of Southern Living; now in addition to that, Coastal Living. Can you tell me how that role and its responsibilities have changed over the years? Sid Evans: (Laughs) I think I feel more like an entrepreneur than ever before. When I got to Field & Stream, I was managing an historic brand and I was trying to reinvent that brand, but I wasn’t necessarily trying to start whole new businesses. Being an editor today; I feel like you’re constantly looking for new ways to reach audiences, find new revenue streams, new marketing partnerships, and increasingly, find new ways to communicate. And there’s just so much learning to be done every, single day, because everything is changing so fast. It’s very exciting, but it’s also very different from what it was like to be an editor 10 or 15 years ago. Samir Husni: And how do you keep your editorial integrity? What are the lines in the sand that you’ll never cross? Sid Evans: Always be true to your reader and always be transparent. I think transparency is paramount. And anytime that you’re creating content that is tied to some kind of partner or advertiser, I think people understand that, as long as you are clear and transparent about what you’re doing. I think that’s absolutely critical. Sid Evans: Coastal Living is a very different brand from Southern Living. For one thing, it has a very high household income; it’s among the highest in the company and in the industry. So, you have this incredibly valuable audience and they’re used to living the good life. They come to the magazine for escape; they come to it for something that’s going to make them feel good; it’s a place to relax, and the mindset that they have when they pick up a copy of Coastal Living, I think is so valuable. It’s where you want to be. I picture them laying in a hammock or sitting in a chair on a front porch or sitting on a beach. So, they’re in a very happy place when they pick up a copy of Coastal. And we hear this from them. We hear them say, I was sitting on my porch reading Coastal the other day. 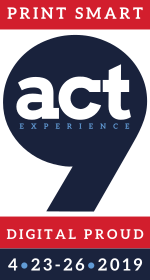 So, that really informs so much of what we do and what that brand is about. And especially right now, in this day and age, when there is so much ugliness in the world, I think Coastal is a reprieve from that. That’s something that has a lot of value to people. 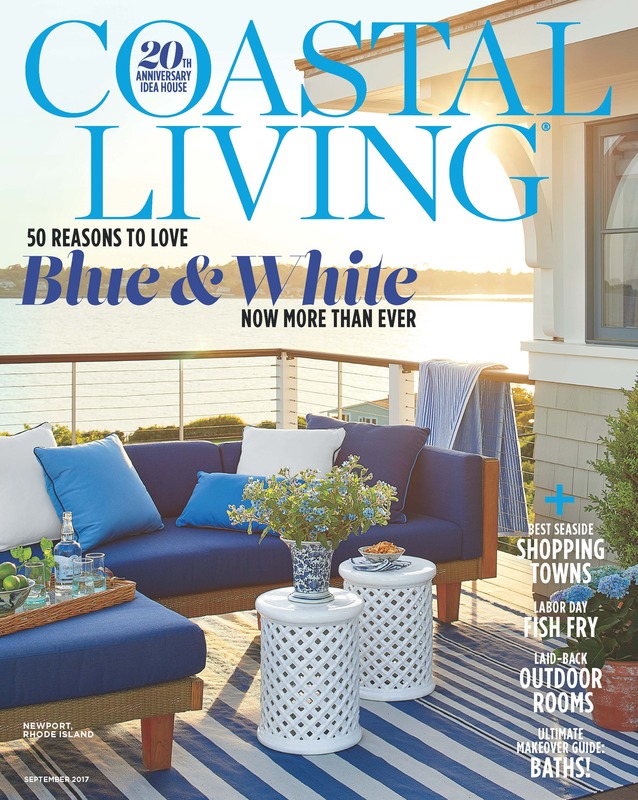 Coastal Living has a remarkably loyal following. And I know what a big fan of print you are, and this is one of those magazines that people take pictures of and they take pictures of themselves with it in all of these wonderful places and send them to us. And five, ten, fifteen years from now, when there are fewer print magazines, I can guarantee you that this one is still going to be around. Samir Husni: And are we going to see more of Sid’s handprint throughout the pages of Coastal Living now that you’re the editor in chief? Sid Evans: (Laughs) I hope so. Sid Evans: That he always put his readers first. That’s what I tell my staff all of the time; think about your reader, and when you have a million things coming at you; when you’re wrestling with a story or when you’re confused about what to do next, just think about your reader and put yourself in their shoes and look at it from their perspective. And as long as you do that, you’re going to make the right decision. Samir Husni: If I gave you a magic wand and you could strike Southern Living and Coastal Living with it and they would both instantaneously turn into a human being, who would that be for each magazine? Sid Evans: (Laughs) Well, it would definitely be two different people. The Southern Living reader is not a celebrity; it’s someone who is living in a small town in the South and just moved into her dream home. And she’s sitting on the porch with a copy of our magazine and she couldn’t be happier. And for Coastal Living, I think it’s probably the same thing, but she’s on a beach. Sid Evans: I may have told you this before; I’m probably playing my guitar badly, but hopefully I’ve gotten a little better at it since the last time I talked to you. And hanging out with the family; there’s no place that I’d rather be. Sid Evans: I don’t sleep much anymore, so I’m up a lot. But it concerns me that we’re creating so much content for other people’s platforms. And as an editor, I am something of a control freak. I like to control my content; I like to control how it’s presented; I like to control how it’s designed, and I like to control the vehicle that gets it from me to the reader. And of course, that is more and more of a luxury. And with all of these growing platforms in the world that have such a share of the market, we’re increasingly creating content for them. So, that keeps me up at night.